You and I both know that life comes with a lot of responsibilities and paperwork. It’s not the most thrilling thing to take care of, or even think about, but it is important. One of these responsibilities is making sure the important things in your life are insured, like your house, your car – if you’re like me, your camera gear. But what about your wedding? Yes, wedding insurance is a real thing. You spend so much time, effort and money on this one day that could be jeopardized by an unexpected event. You should protect it. Imagine planning the perfect beach wedding in Florida, only to have a hurricane come through exactly when you were supposed to be saying your vows. Or imagine finding the venue of your dreams only to have it go out of business a month before your wedding. These are not fun scenarios to think about at all but that doesn’t mean you shouldn’t take them into consideration. Wedding insurance is an easy way to spend a little extra money for much more peace of mind and security. Depending on what kind, and the extent, of coverage you want, a plan can cost between $200 and $600. This usually includes the loss or damage to deposits, photos, videos, gowns or tuxedos and wedding rings. Engagement rings are usually not covered by this type of insurance. It’s up to you to contact the vendors you are hiring in order to find out what each of their insurance policies are, to make sure that you are properly covered. 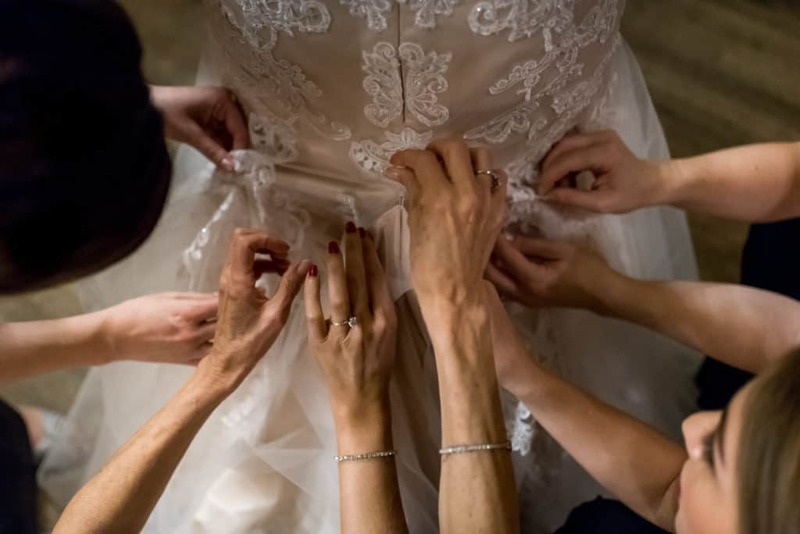 Most insurance companies in Massachusetts, like AAA, Haberman Insurance Group or Progressive, offer a wedding insurance plan which is also often called “event insurance coverage.” You can also get more information at WedSafe, WedSure or Event Helper. There are two types of wedding insurance. One of them covers cancellation or postponement. The other is liability coverage. While the first option covers cancellation – it doesn’t include getting cold feet. If either person, bride or groom, changes their mind, they will lose the money they’ve already spent. The liability option kicks in if someone gets injured during the wedding itself or if there is property damage. You can purchase both types of insurance separately or as a package. Whether or not it is worth it is up to you. This coverage works the same way as buying a plane ticket and deciding to pay the extra insurance fee – just in case. As the saying goes, better be safe than sorry!